Mon-Fri converted to STL and Sunday to RTL. 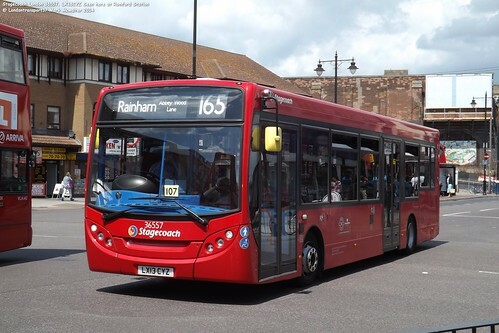 Diverted at Elm Park via Rosewood Avenue and Wood Lane in order that Elm Park Station could be served. 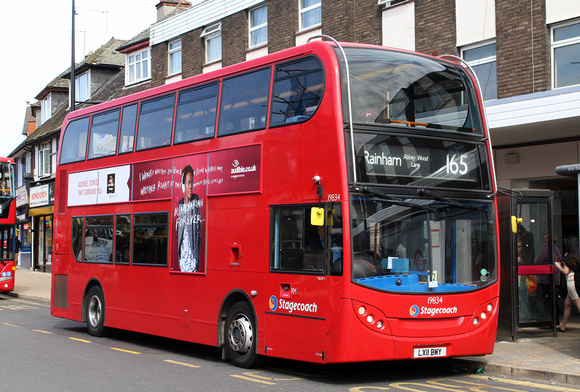 Diverted at South Hornchurch to serve Mungo Park Road and Southend Road instead of via Rainham Road. 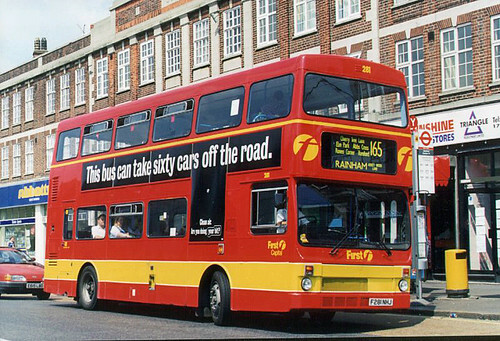 Converted from RT to RM operation - buses coming from Upton Park where Route 15 was upgraded to RML. Converted from RM to RML. Mon-Fri allocation increased - hence Saturday RT ended. HAVERING PARK Firbank Road - RAINHAM War Memorial. HAVERING PARK Firbank Road - RAINHAM Mardyke Estate (Mon-Fri except peaks and Saturday shopping hours) or RAINHAM War Memorial. 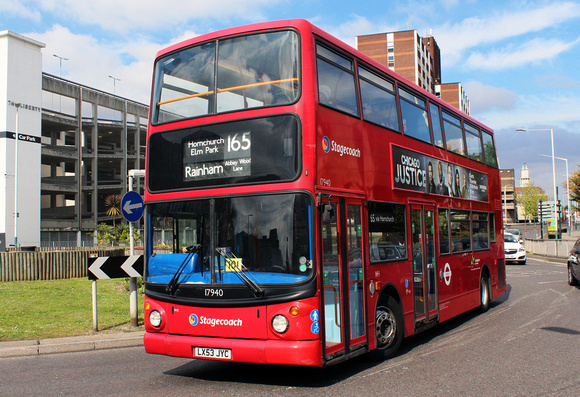 Service to Mardyke Estate introduced. 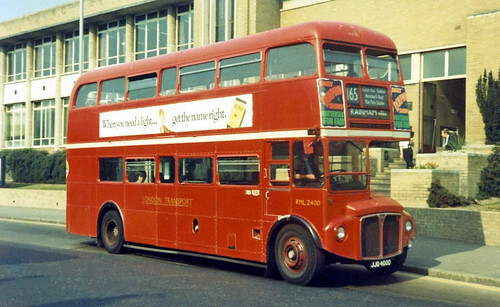 buses diverted via Mardyke Estate normally started and finished at North Street Garage. 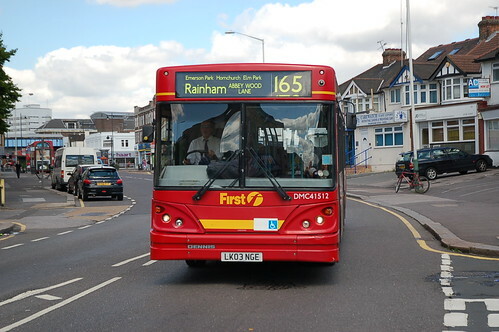 HAVERING PARK Firbank Road - RAINHAM Mardyke Estate (Mon-Fri and Saturday shopping hours) or RAINHAM War Memorial. Converted from DMS to Titan operation. 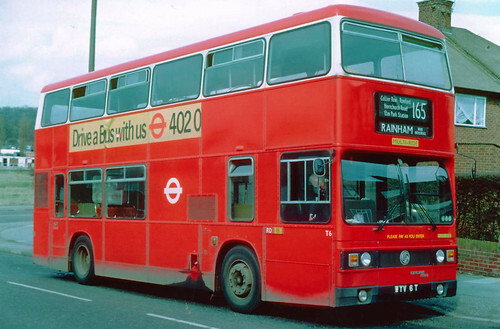 Service to Mardyke Estate renumbered 365. 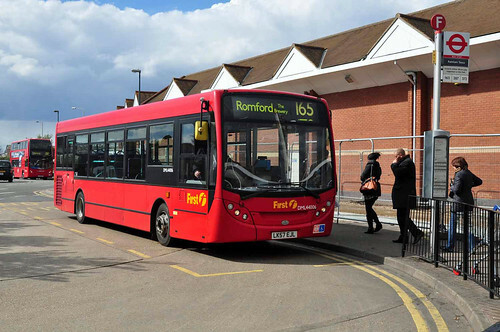 Hornchurch Garage closure - route transferred to Ensignbus with garage journeys introduced to Wennington. Diverted in Rainham via Tescos. 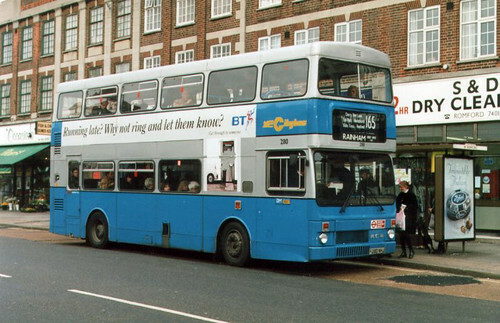 Withdrawn between Romford and Havering Park - this section replaced by Route 365. 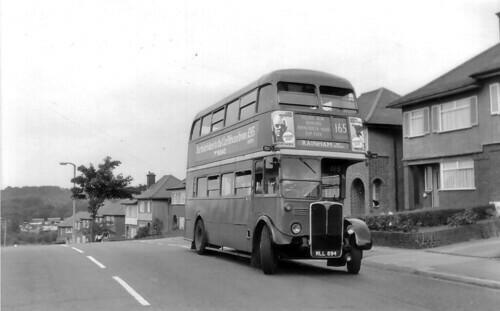 Re-routed towards Rainham from Western Road via Grimshaw Way and Slaney Road.